Personally I don’t see the appeal of the Five Little Monkeys, I personally find every story repetitive and lacking in imagination. However, young readers love them. The sentences are simple enough that when they are learning to read they can put their skills to practice. 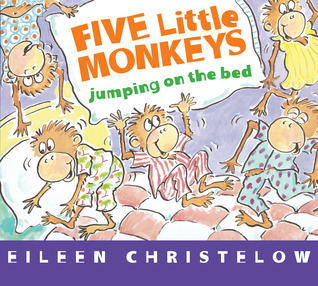 In this little adventure, the monkeys have to go to bed and end up with more bumps and knocks than if they’d been playing in the park.